Demand in the past has always focused on newcomers and bringing them up to the forefront. We try to find people that endeavour originality with the focus on the dancefloor and after 6 years that is still the labels ethos. Last year we brought up new names like 'SubMarine', 'Andy Pain' or 'Owneath' all with their own sound... and there is no stopping in this really in 2017 with our fifth Selects EP. With the Bristol based talent 'Grey Code', Austrian 'Wingz' and 'Skylark' from Strasbourg we welcome 3 new names, you've probably not heard of yet, to the Demand family. 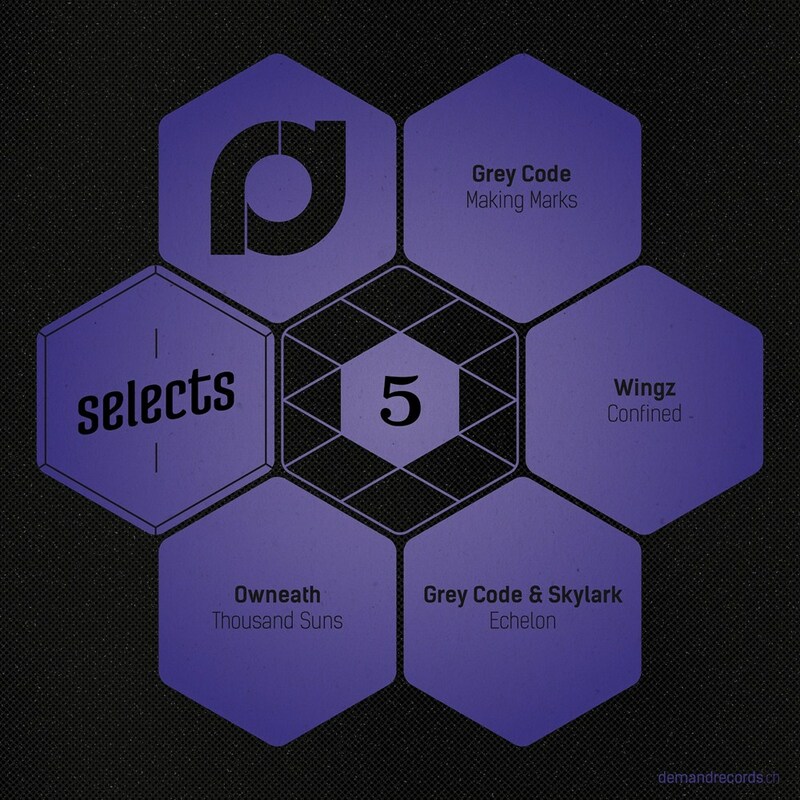 Grey Code starts off with 'Making Marks' and oh boy does it deliver. That stomping heavy kick and the dark movement in the bassline, no wonder this has already received love by Noisia. Another track championed by said Dutch boys is Wingz 'Confined'. It is minimal, clicky and sub bass focused and rolls so well, one could listen to this on repeat. 'Echelon' by Grey Code & Skylark on the other hand very different. It's what we'd call techy d&b in it's cleanest and purest form. We love how the bassline morphs through this track and it's attention to detail! Last but not least we welcome back Owneath with a 'Thousand Suns'. He's a master of the brooding, minimal, progressive sound. Every phrase is different even tho you have to listen closely to hear it. We're excited about these guys and hope you're too!